A sports camp for kids in Hood River, Oregon, in the Columbia River Gorge. Our 4-day program prioritizes fun and gets kids windsurfing in no time. Kids camp will start Monday June 24th 2019. See you soon!! Our 4-day program prioritizes fun, and gets kids windsurfing in no time. 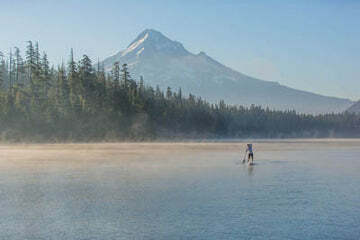 Designed for children ages 7 to 12, the camp takes place at the Big Winds Windsurf Center inside the Hook, a protected lagoon right here in Hood River. Children must be at least 7 years of age, enjoy the water and be able to swim a minimum of twenty feet. This camp targets water starting, harness use, foot straps, and jibing. It takes place at the Big Winds Windsurf Center just outside the Hook, in deeper, more open water. Kids must be at least 10 years old, strong swimmers, and have had experience beach starting and using a harness.